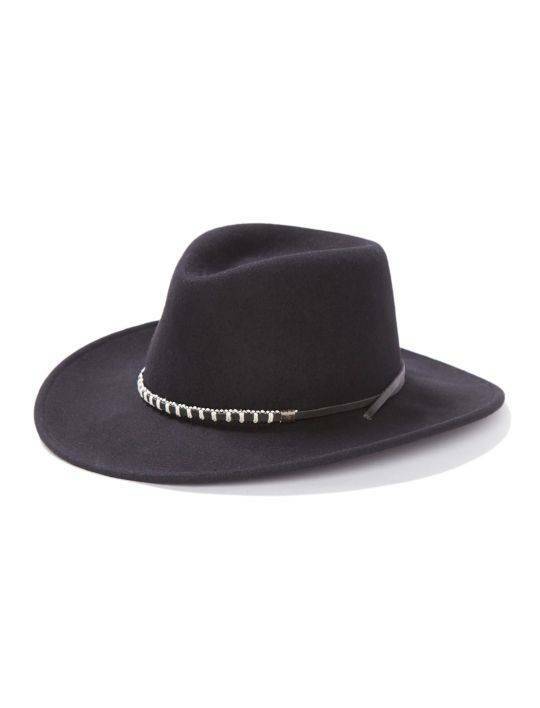 The Black Foot Outdoor Hat is constructed of wool felt and features a pinchfront crown, chin strap and leather hat band wrapped with contrasting white stitching. Wool. Made in USA.